Seoul is thriving, buzzing, incredibly fun, and pretty complicated to navigate. Here's a one-day guide to everything from avant-garde art exhibits to cheap and cheerful souvenirs. SEOUL – At first glance, Seoul isn't an obvious vacation destination. The city is massive and difficult to navigate, and, unlike destinations like New York, Paris, and Tokyo, it lacks an obvious hit list of must-sees. But for those who are willing to put in the legwork (literally and figuratively), discoveries abound — most of them edgy, creative, and cool. Like a sculpture garden within the 1988 Olympic Park, a bar serving portable drinks in plastic bags, and cafés that double as furniture and stationery shops. Go have a great day. The stretch of road encircling Gyeongbokgung Palace is dotted with airy contemporary art galleries showcasing the work of Korean and international artists with a wide variety of perspectives and styles. Begin with a coffee at Gallery Simon, whose top floor houses a small, gorgeous, modern-industrial restaurant with a terrace. You could easily while away the afternoon meandering through places like the Daelim Museum, Gallery Hyundai, Kukje Gallery, and Hakojae Gallery (which has the added historical bonus of being located in a hanok, a traditional Korean house). Plus, the UUL National Art Museum, a branch of the National Museum of Modern and Contemporary Art, is slated to open soon. Slightly spooky way to start the day at Daelim Museum. The café at Gallery Simon. Head southeast over the river to reach the tiny shopping neighborhoods Apgujeong-dong and Cheongdam-dong, located in the now-infamous Gangnam-gu area. Yes, you'd have to sell a kidney to afford the most of the merchandise on offer, but fear not: You're just here to ogle the enormous, futuristic retailers. 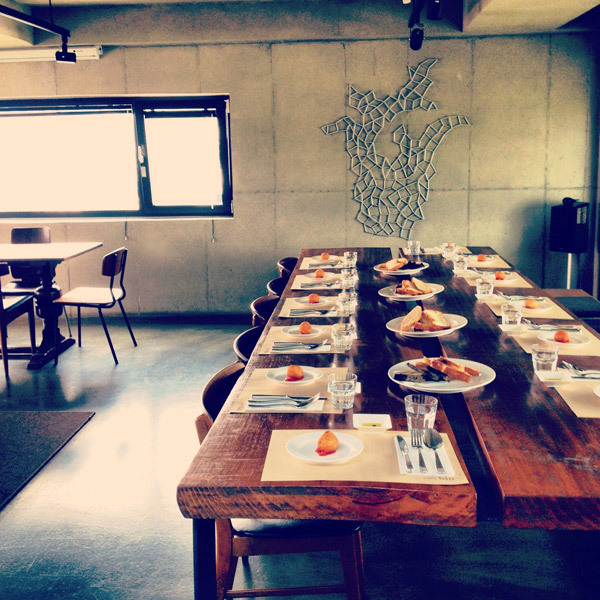 Stop for lunch at Gorilla in the Kitchen, a minimal black-and-white eatery where the emphasis is on healthy. Pick up a couple of their granola bars; they make great afternoon snacks for later in the day. After lunch, cross the street to Rick Owens, where you'll be greeted by a bust of the designer, which has been placed — literally — on a giant pedestal at the entrance. 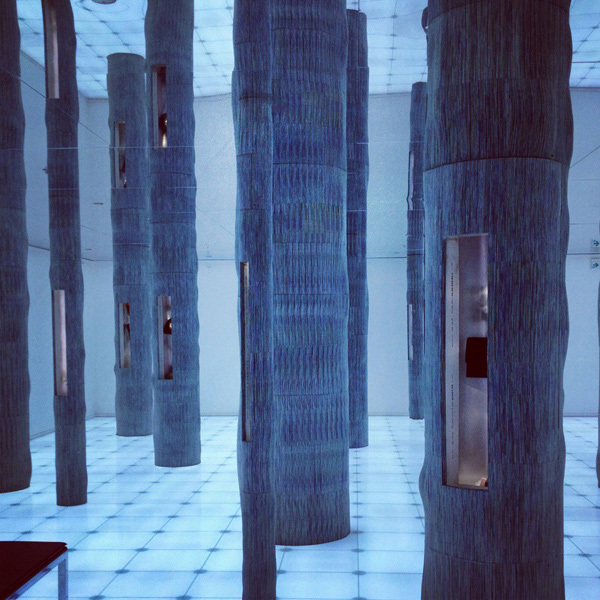 At nearby Hermès, what appear to be hollowed-out tree trunks showcase objects relevant to the house's history fill the mirrored-ceiling basement, creating a kind of fairytale forest. There's also a gallery on the top floor. Nearby, an ivy-covered building houses Ann Demeulemeester, and black-framed glass doors lead down to the fantastical Tom Greyhound Downstairs. Other standouts include Paul Smith, which looks like a hybrid between a boulder and a spaceship, and the lifestyle store Je Ne Sais Quoi, which houses an eclectic-yet-tasteful mishmash of styles and products and has an upstairs terrace stocked with Italian sodas. 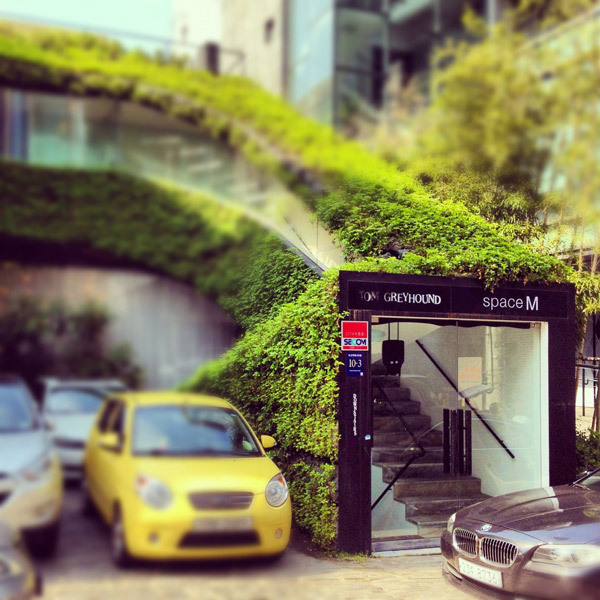 If you're feeling spendy, hop on a cab to Garosugil, a small (it's under a half mile) street in Sinsa-dong packed with upscale but less break-the-bank stores offering fun, girly garb, including 103 and Les Choix de Caramel. It's no secret that Korea is obsessed with beauty and beauty products, so be sure to pop in to one of the numerous beauty brands dotting the street. 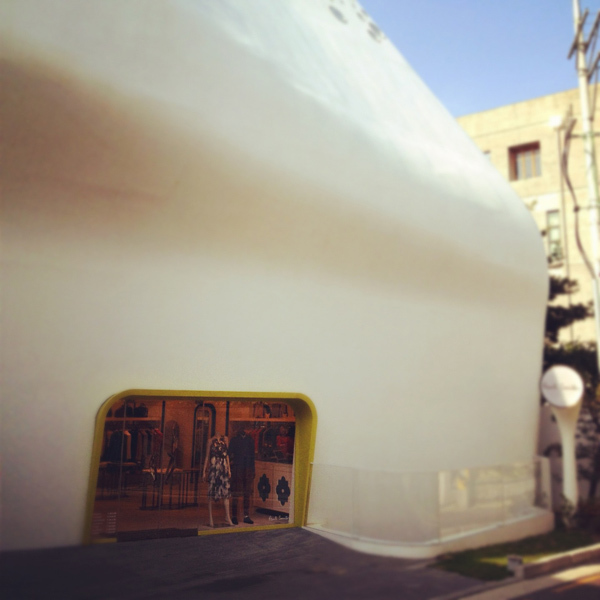 Look for the cheekily-named Olive Young, a Korean version of a French pharmacie. 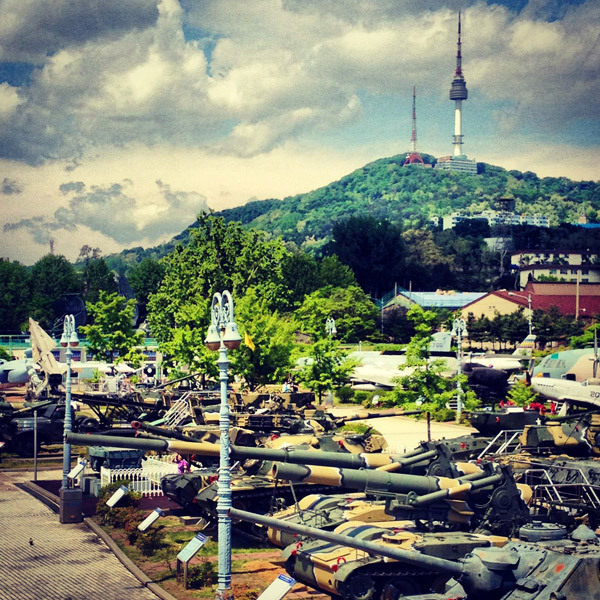 Liberation from Japanese rule and the Korean War are the two events that have most shaped South Korea, and the enormous War Memorial of Korea, located back over the river in Itaewon, provides comprehensive and interactive histories of both. Outside, you can climb into and on top of various vehicles from the war, including jets, tanks, and ships. 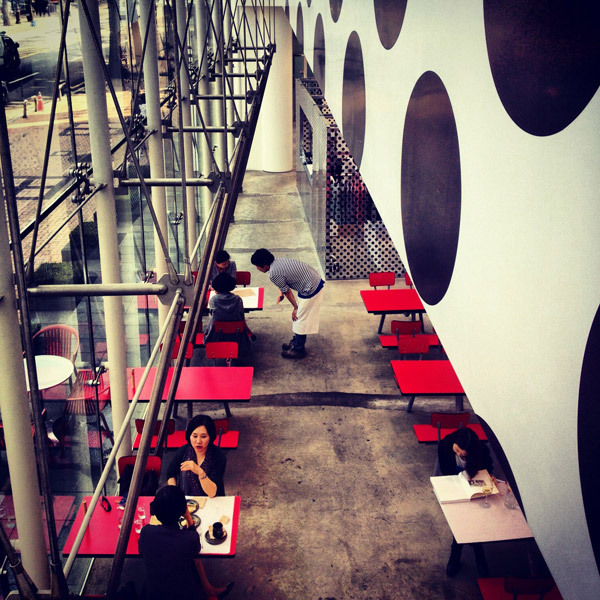 If the granola bars aren't doing it for you, the Comme des Garçons store, a polka-dotted glass funhouse whose seven mezzanine floors are separated by tunnels, is a quick taxi ride away. Rose Bakery, on the store's ground floor, has a number of fresh snacking options. Tanks at the War Memorial of Korea. Stop for late-afternoon tea at Rose Bakery. By the end of the Korean War, the roughly eight kilometer-long Cheonggyecheon Stream near the city's center (farther northeast) was awfully polluted. In the 1950s, it was covered with concrete, and in the 1970s, an elevated highway was built over it. Following a renovation project completed in 2005, the highway was demolished and the stream unearthed. It's now surrounded by pathways on both sides, creating a lush belowground pedestrian park filled with fountains, art, and an overriding sense of tranquility in the middle of a throbbing city. Each spring, the Lotus Lantern Festival celebrates the anniversary of Buddha's birth. In the weeks preceding it, vibrant lanterns — symbolic offerings of light, wisdom, and enlightenment, made of traditional hanji (mulberry bark) paper — are hung and displayed throughout the city, including in the middle of the Cheonggyecheon Stream. 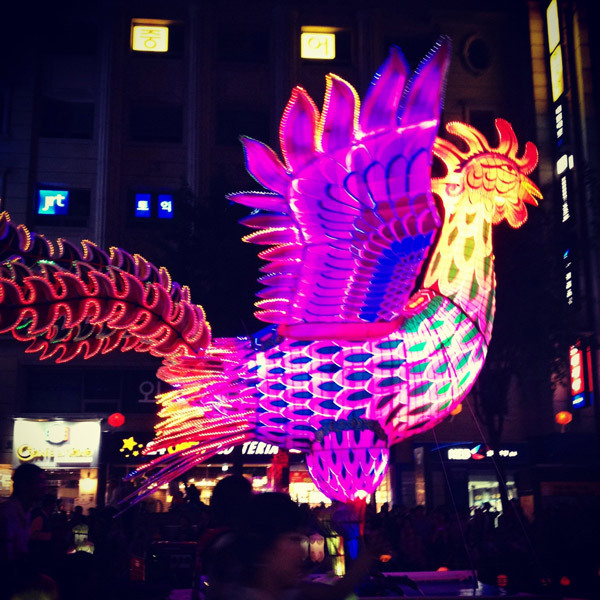 The festival includes a number of events; most significantly, a stunning night parade along Jongno Street showcases over 100,000 lanterns, ranging from lotus flowers (dangling from sticks held by participants decked out in intricate traditional garb) to enormous floats depicting animals, drums, and mythological-seeming scenes, among other things. If you behave nicely, you might score one of the lanterns: Many parade participants give theirs to viewers. 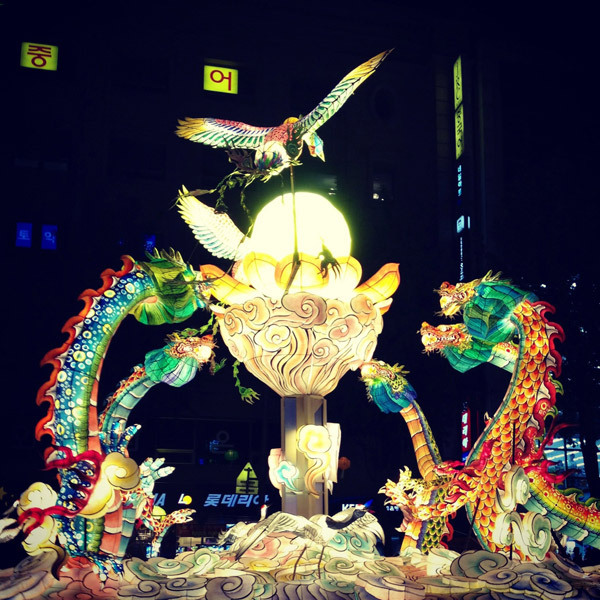 Some of the massive lantern floats along the Jongno Street night parade. 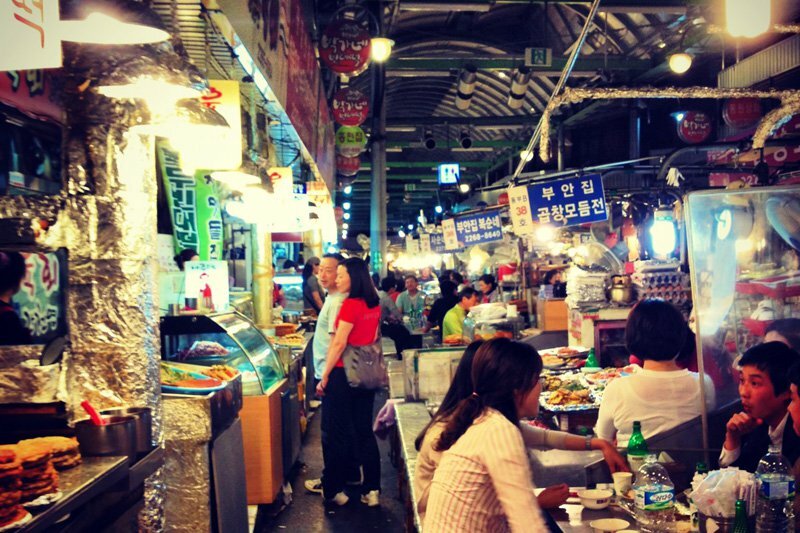 Just off Cheonggyecheon, you'll find Gwangjang Market, Korea's oldest daily market, is known largely for its fabric vendors. The real fun lies in the middle of the market, where street food stalls are jammed into two crisscrossing pathways. Tiny benches line each stall, providing diners a respite from the chaos and a chance to enjoy bindaetteok (mung bean cakes) washed down with soju. East of Gwangjang, 24/7 market-on-steroids Dongdaemun includes 30 mall-like complexes crammed with shops selling trendy, so-cheap-it's-crazy merchandise, including jewelry, shoes, and clothes (most of which is free size, or one size fits all). It's like Black Friday, only with things you'd actually want. 1. Wear comfortable but appropriately cool (it's Seoul, after all) shoes. 2. The subway is easy to understand and will save you a good amount of time and money. Just expect crowding and waits at rush hours. 3. Use Google Maps (or, if you have an iPhone, the Pocket Earth app) to map out everything you want to see in advance. Streets have two numbering systems (an old and a new), and ironically, neither of them is useful. Meghana works at the NYC Economic Development Corporation, where she helps develop and manage initiatives focused on growing NYC as a global fashion capital. 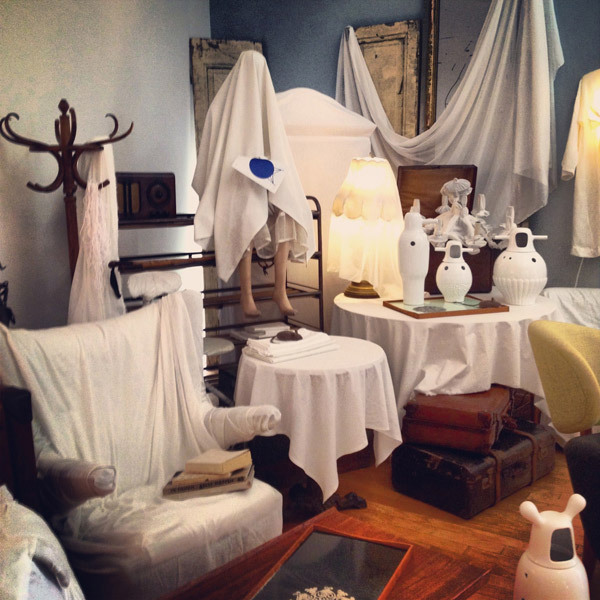 She travels for the modern art museums, diverse neighborhoods, and cool retail environments.